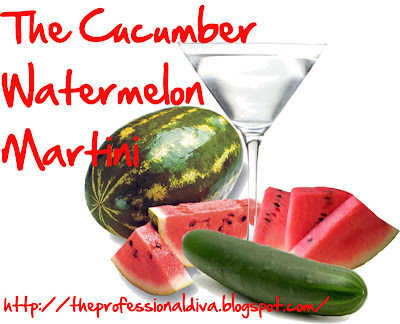 THE MARTINI CHRONICLES: Martini Thursday...the Cucumber Watermelon Martini! 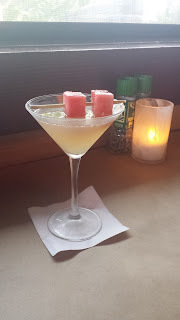 Martini Thursday...the Cucumber Watermelon Martini! So...this past weekend, the Stud and I had our very first date/outing since Mini Me's arrival. We decided that we would do some shopping, get pedicures, and have lunch, so we ventured out to one of our favorite restaurants, Bonefish Grill. One of the many things I love about Bonefish Grill are their seasonal martinis. In fact, the first martini that I showcased here on the Chronicles was courtesy of Bonefish Grill. That martini was great, and so is this one! The Cucumber Watermelon Martini is just in time and perfect for the summer. It combines the sweet taste of watermelon with the refreshing taste of cucumber-infused vodka. It may seem like an odd combination, but the watermelon and cucumber compliment each other beautifully. Now, you're going to need 3 days to infuse the vodka, so plan accordingly. Enjoy! 1. In a large bowl, soak cucumber slices in Vodka and Sour Mix. 2. Freeze your watermelon cubes. 1. 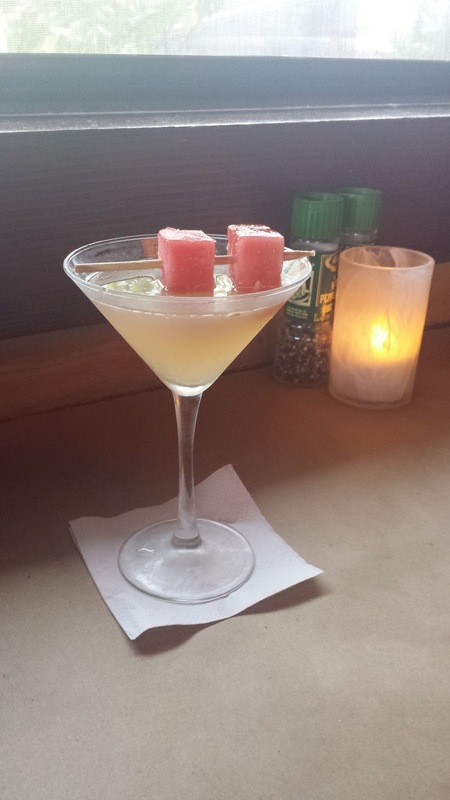 In a martini shaker, muddle 1 cup of diced watermelon for about 1 minute. 2. Add infused vodka and ice. Shake! 4. Garnish with frozen watermelon cubes. I know, I know...three days for a martini. I promise you it's worth it. Enjoy! And Drink Responsibly! Bonefish Grill is one of my favorite restaurants! I can't wait until hubby and I can go and get some good food, bang bang shrimp, and a couple of martinis lol. I'm definitely saving this recipe for after the baby comes. Thanks for sharing!